Thursday is Poem in Your Pocket Day! Students, write your own poem on an index card. Carry your “Pocket Poem” with you all day and read it out loud to at least five people. Ask each of your listeners to sign the back of your card. After you have five signatures on the back of your card, show it to Mrs. Underwood for a special “Poem in Your Pocket” day treat! Join Us Thursday Night (April 27th or May 4th) to review our Title I Compact. As a community school we know that parents, teachers and students are all partners in the educational process. This is an opportunity to share thoughts about your role as a parent in our community school. Meetings start at 5:30 in the Cafeteria. Childcare will be provided. There will be hot dogs, bring a side to share! 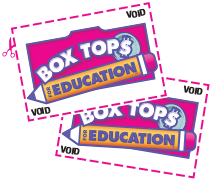 Friday Box Tops are Due! This Friday at 8am is the Volunteer Appreciation Breakfast. Head to the cafeteria for a little token of our appreciation for all you do for the school! THES wouldn’t be the same without you! Let’s give a big Appreciation Pump ?????? to Megan Colwart for Volunteering to lead the Welcome Coffee next year! Please see the attached flyer with some suggestions of ways that we can show our amazing teachers and staff some love! We’re also hosting some meals and treats, so please email me at willowb @ gmail.com if you’d like to volunteer for those efforts as well. 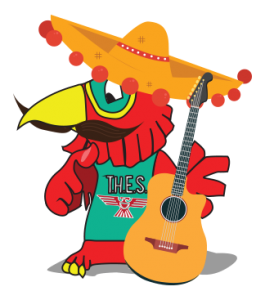 Our Gueros End of Year Party is planned for Tuesday May 16th. Help Us Keep the Communications Flowing! Help Us Keep the Communication Flowing!